This elegant ultra-thin cooling pad has a silent fan of 160mm. The pad design is suitable for laptops from 7" to 17". The pad is made of metal mesh that provides better airflow and provides efficient cooling, ensuring a stable running of the notebook to prevent overheating. Two height scales ensure better fitting of the notebook to eye level. Its power supply is via a conventional USB port and offers a blue LED backlight. Its thin and lightweight design makes it easy to carry and store. Notebooks 7 - 17 "
For shipping to other EU countries visit this page Cooler Master NotePal i300 black. Für Versand nach Deutschland, besuchen Sie bitte Notebook-Kühler NotePal i300 schwarz. Chcete doručit zboží do Česka? 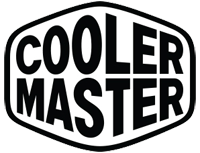 Prohlédněte si Cooler Master NotePal i300 černá. Chcete doručiť tovar na Slovensko? Prezrite si Cooler Master NotePal i300 čierna. Für Versand nach Österreich, besuchen Sie bitte Notebook-Kühler NotePal i300 schwarz. Magyarországra történő kiszállításért tekintse meg ezt a termékoldalt: Cooler Master NotePal i300 Fekete.